Kenny Brown, a 25 year veteran in the Mustang performance aftermarket, has announced that he will be bringing his latest creation, the GT-4T Mustang dubbed “Mango Tango”, to the SEMA show in Las Vegas next week. The GT-4T Mustang features the latest in Kenny’s street/track arsenal, most notably his GT-4 Chassis and Suspension Package and his new twin-turbo system that produces 550 horsepower from the 4.6-liter V8. Keeping with the theme of world-class performance, Kenny has added a host of other goodies including massive Michelin Pilot Sport tires mounted on Weld Racing’s new light-weight RTS and a Baer 6-piston brake system. Since the Mustang is a convertible, Kenny has also added his Sport Rally Bar to the list of chassis support items and finished the interior with Sparco seats and harnesses for added driver support. We will bring you more details and photos of the Kenny Brown GT-4T Mustang as part of our live SEMA coverage next week. 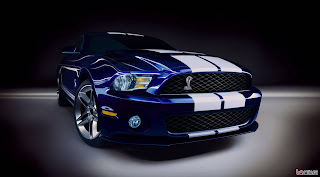 This entry was written by by MustangsDaily (Mustangs Daily) and posted here on Wednesday, October 26th, 2011 at 3:36 pm and is filed under kenny brown, kenny brown gt-4t, kenny brown gt-4t mustang, News, sema 2011. This article was not written by us, rather gathered using RSS feeds listed here. We take no credit for this article. You can leave a response, or trackback from your own site.